The sound is certainly the most essential element of the music album, but the powerful role of cover art cannot be ignored. Designs for famous album covers are so compelling that they strike the same emotional resonance with the listeners as the music on them. Originally just a protective cover for the fragile crackly goods beneath, the album cover soon evolved into a space for artistic expression in its own right. 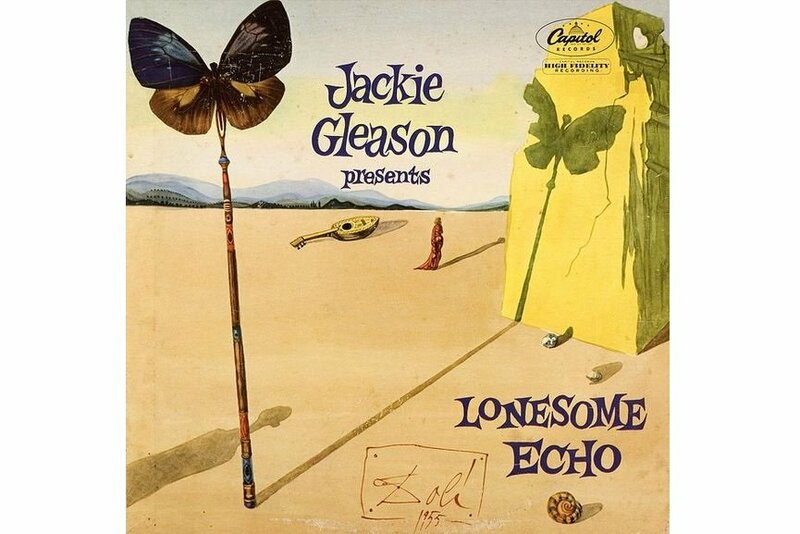 The artistic capacity of the album cover was greatly expanded in the 1960s when artists and publishers started commissioning visual artists for the design of their record sleeves, and as the music changed, so did the covers. From the fold-out gatefolds of the vinyl era to pull-out liner notes in CD jewel cases to the small icon on a digital player, the concept of cover art has changed greatly over the years, but it still manages to greatly impact our listening experience to create a totally immersive one. Even though the hard printed music is slowly being replaced by strings of digits we play on our computers and mobile devices, the art of album covers is stronger than ever as it evolves and moves into a more digital world, while retaining the artistic nature of the medium. Throughout the history of the album cover art, musicians and bands have often commissioned famous artists to produce the visual image for their music. In the recent years, we have been witnessing a steady rise in a number of album covers created by contemporary urban and street artists. It seems that music and graffiti art go well together and that the medium of cover art provides a great, creative platform for urban artists to become more visible. From Salvador Dali and Andy Warhol to Damien Hirst and KAWS, we have compiled a list of the most famous album covers art created by famous artists. 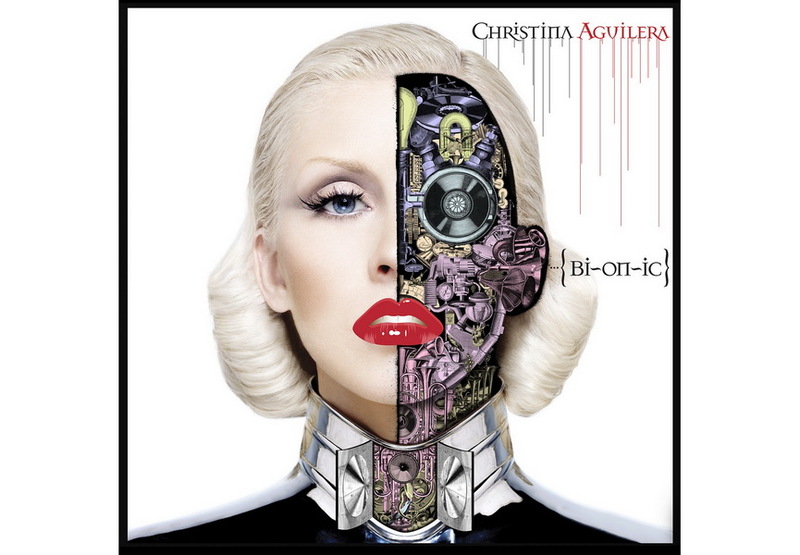 Bionic is a 2010 electropop album by Christina Aguilera, American singer, songwriter, and all round international music superstar. Creator of the wonderful album cover artwork, featuring a cyborg vision of Aguilera’s face, is D*Face, acclaimed English street artist, illustrator and designer, best known for his metaphorical, socially engaged pop artworks. At first look, the image of platinum haired Aguilera may seem to be missing the famed D*Face imagery, but closer examination reveals a great artistic piece and a true visual treat, which perfectly blends big league music industry and D*Face’s stylish, aPOPcalyptic art. It just so happens that Christina Aguilera is also a noted art collector, admirer of D*Face and a proud owner of several of his works. 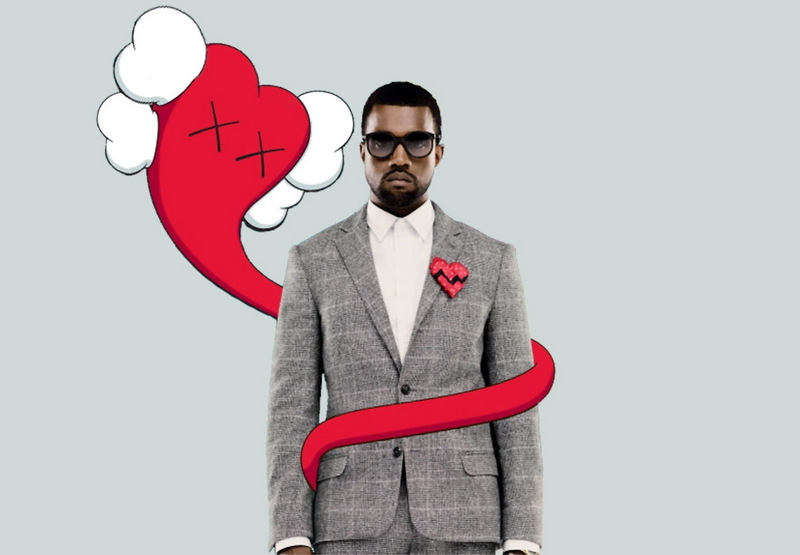 808s & Heartbreak is a highly popular 2008 hip-hop album by the renowned rapper and music producer Kanye West, featuring several successful singles which have demonstrated outstanding performances in music charts. 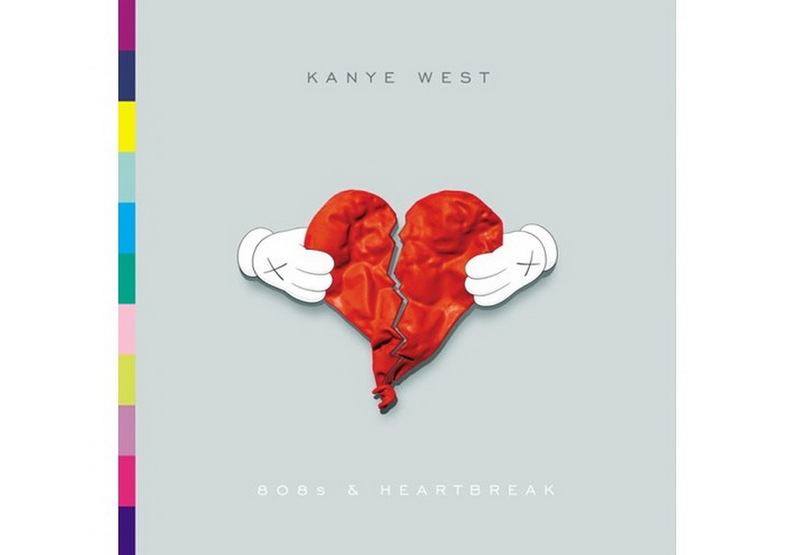 The original cover artwork for the album was created by KAWS, prominent New York graffiti artist, illustrator, sculptor and designer of limited edition toys and fashion items. 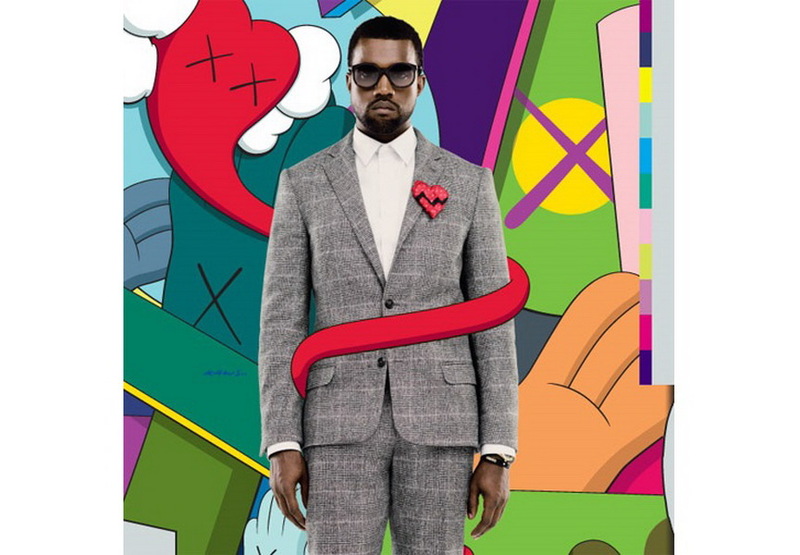 KAWS’ vibrantly colored design of the 808s & Heartbreak album artwork is full of his instantly recognizable street-born cartoonish graphics which have achieved a level of subcultural iconography over the years, and features KAWS’ signature figures of spermatozoa shapes with x-ed out eyes. Check out more works by KAWS on our marketplace! Keith Haring was an extremely talented and highly influential American urban artist and social activist, and one of the greatest art names New York City street culture has ever produced, whose engaging imagery has become the most widely recognized visual language of the twentieth century. 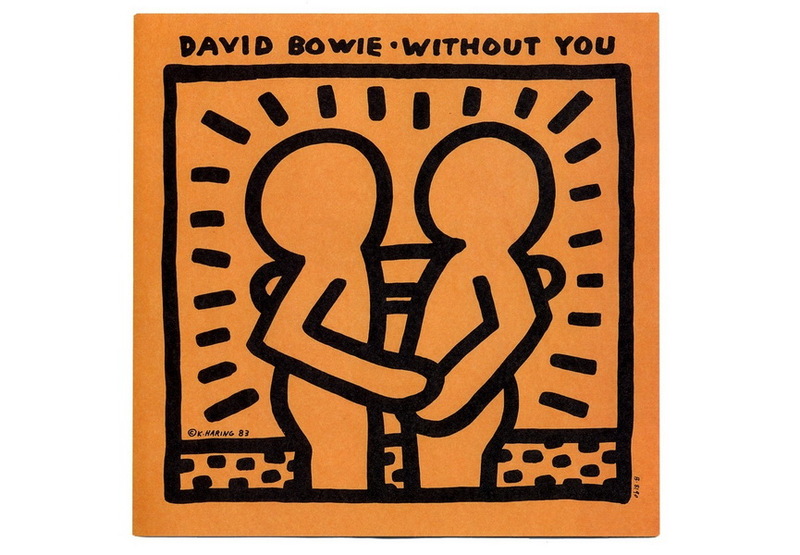 In 1983 Keith Haring created the record sleeve design for David Bowie’s single Without You, a song which was also included on Bowie’s Let’s Dance album of the same year. The original vinyl pressing of Without Love single, featuring instantly recognizable Haring artwork, is a highly collectible and desirable item among pop music and urban art lovers, and it can sporadically be found online for second hand purchase. Looking to add Keith Haring to your collection? Check out our marketplace! Maya Hayuk is a multi-faceted urban artist, painter, photographer and video maker from Brooklyn, New York, widely recognized for her unique large-scale murals of vibrantly colored geometric shapes and almost obsessive symmetry, that appear traditional and innovative at the same time. Maya Hayuk is also a highly prolific album cover artist, with dozens of artworks created for albums by musicians such as Prefuse 73, Savath + Savalas and The Cinematic Orchestra. 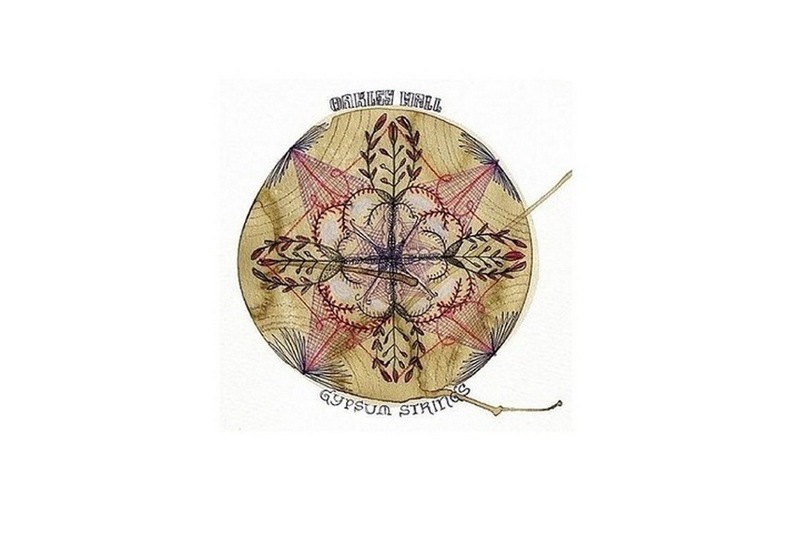 Her cover for the Gypsum Strings album by Oakley Hall, the premier folk rock band from New York, is a highly sensual artwork, very different from her usual, highly distinctive style. Hayuk also did the cover for the second Oakley Hall album titled I’ll Follow You. Futura (or Futura2000) is an American street art legend and a pioneering graffiti artist who greatly influenced the development of graffiti art by introducing his abstract, expressive imagery into a previously letter-based art form. Futura broke out globally in 1982, when he was enlisted into performance roster for The Clash’s Combat Rock tour, and he supported the performances by painting the stage backdrops as the band played live. Since then, Futura has grown to be one of the most desired illustrators and designers, in various industries, including the music industry. 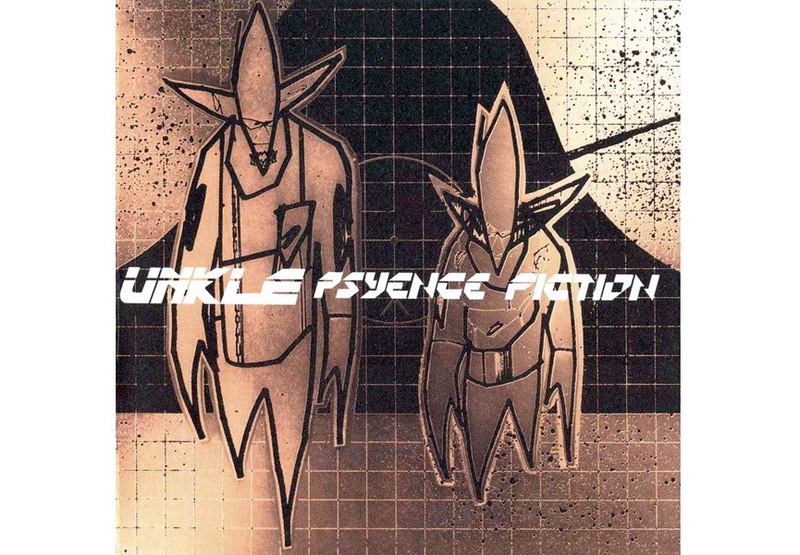 His cover art of the 1998 Psyence Fiction, album by an electronic music artist UNKLE, is a wonderful piece of cutting edge design that works well on its own, but also goes very nicely with the music inside. Browse more works by Futura on our marketplace! F.A.M.E. 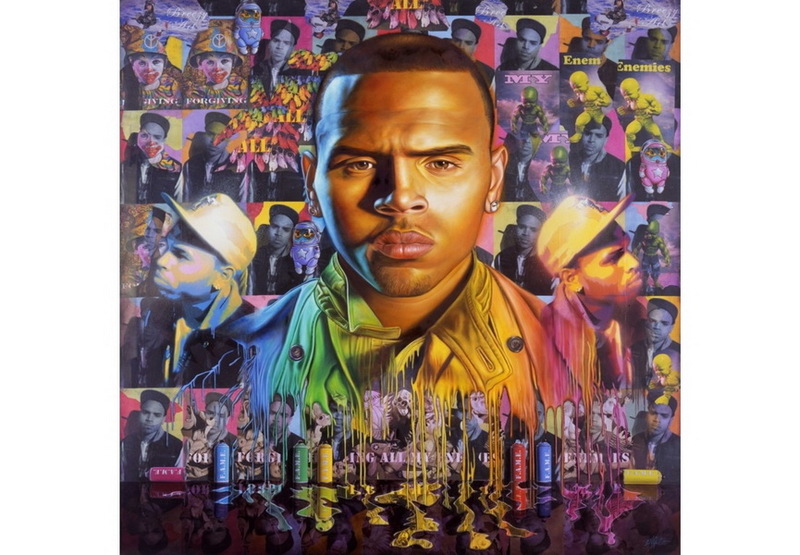 is a 2011 album by R’n’B artist Chris Brown. The artwork was created by Ron English, one of the most recognizable contemporary artists whose unforgettable images can bee seen all around us, on the streets, in museums and galleries, movies, books and on television. Even though English had previously done album covers for artists such as Slash and The Dandy Warhol, his F.A.M.E. album artwork is a masterpiece of the medium and a true representation of English’s POPaganda style, a visually striking mash-up of high and low culture. Brown and English later collaborated on a limited edition release of Made by Monsters’ Dum English toy series. Joey Krebs, also known by his moniker Street Phantom, is an acclaimed street artist from Los Angeles who has been a longstanding force in the local street art scene. 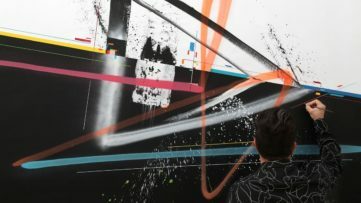 He is widely recognized for his simple, yet powerful spray painted icon silhouettes and provocative commentaries of modern day society and its culture. 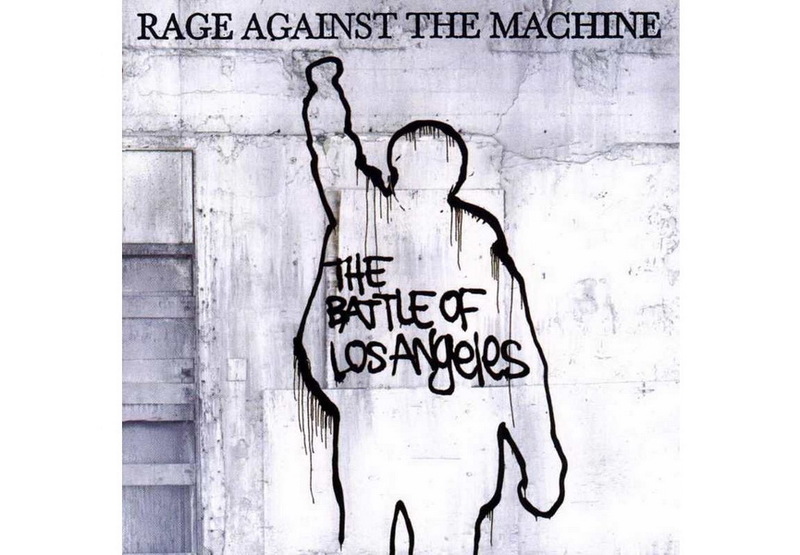 Such is Krebs’ artwork of The Battle of Los Angeles album cover by the cult American alternative rock band Rage Against the Machine, that features a silhouette of a rebel raising his fist. Enjoyed together, music and lyrics of Rage Against the Machine and Krebs’ cover artwork deliver a strong, overwhelming punch, and a powerful audio-visual experience. The acclaimed Los Angeles based graffiti artist RETNA, is praised around the world for his hypnotic calligraffiti works, inspired by hieroglyphs and Native American typography. 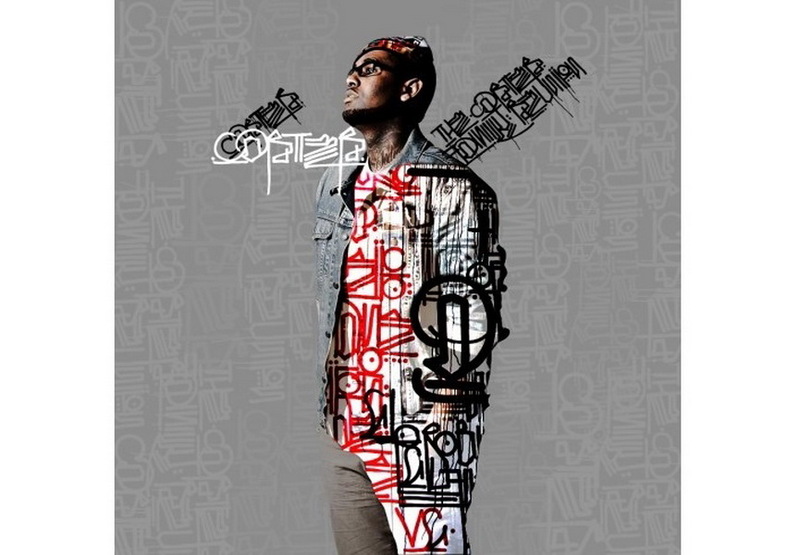 In 2009, RETNA and Mike Reese were commissioned to co-design artwork for The Carter Family Reunion album, by hip hop artist Carter. The artwork, showing Carter’s photograph and RETNA’s graffiti intervention on it, is arguably one of the best examples how graffiti inspired album covers can be turned into great, self-sufficient and widely enjoyed pieces of visual art. RETNA’s instantly recognizable cover design features blocks of his distinctive, self constructed script which writes a captivating visual poetry. Think Tank is the 2003 album by the English alternative rock band Blur, and their seventh since the band formed in 1988. 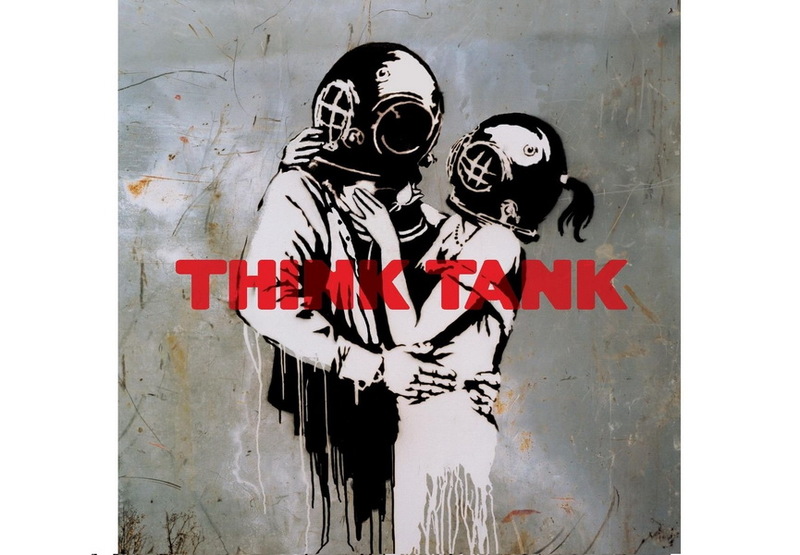 For the album cover art design work, Blur commissioned the infamous stencil graffiti artist Banksy, whose witty and engaging stencil works cover the walls worldwide, from his hometown of Bristol to Palestine and Los Angeles. While working on Think Tank project, Banksy created series of stencil pieces on walls and steel doors around London, which are a bit different from what the audience usually expects from him, as these works lack subversive messages and have a mellow atmosphere, showing children and romantic couples embracing and drinking wine in a restaurant, while wearing deep sea diving helmets. Since the album release, several of Banksy’s Think Tank stencil pieces have been sold on auctions for mind-boggling prices. Be sure to check out Banksy’s works on our marketplace! American alternative rock band The Smashing Pumpkins released their seventh album Zeitgeist in 2007. For the album cover design the band turned to the renowned American street artist and illustrator Frank Shepard Fairy, widely known for his Obey Giant sticker campaign and Barack Obama ‘Hope’ presidential campaign poster. 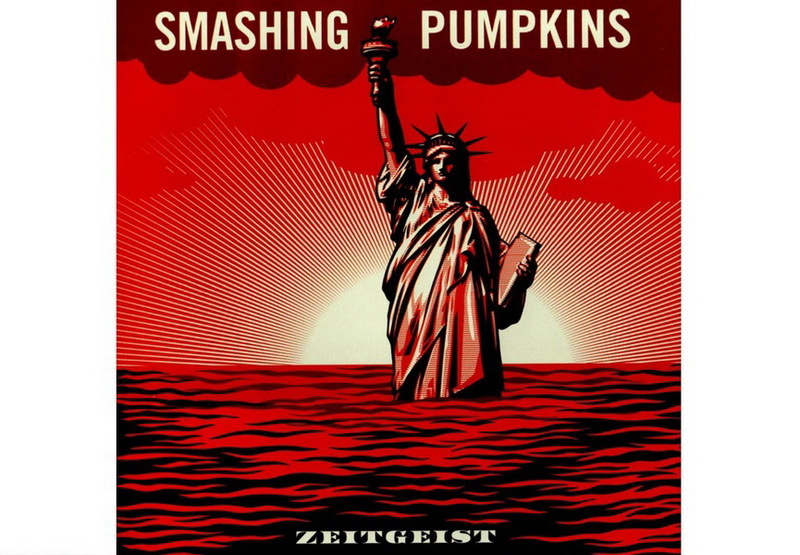 For the Zeitgeist album cover, Shepard Fairey was given only its title to work with and he came up with a true masterpiece. His eerie and haunting illustration, produced in red, black and white color, depicts a drowning Statue of Liberty with a setting (or rising) sun shining behind it. With this seemingly simple, yet visually captivating image, Fairy skillfully managed to sum up various rather complex and worrying subjects, from the global warming issue to the demise of US founding ideals, such as civil liberties, privacy and freedom of speech. Before becoming a worldwide famous band, The Velvet Underground was a house band at Andy Warhol’s Factory – his New York studio complex. 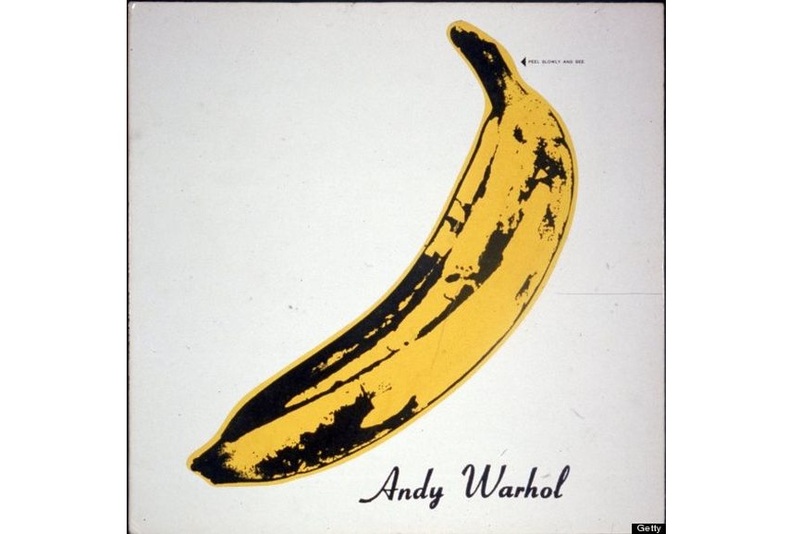 For the band’s self-titled debut The Velvet Underground & Nico from 1966, the legendary artist designed the album cover featuring a banana designed in his unique Pop Art style. Early copies of the album featured a peel-away yellow banana skin sticker that the listeners could peel to reveal a flesh-colored banana. Since this artwork needed extra money and a special machine to manufacture, it delayed the album release. Yet, the record label decided to invest in it since they believed that the collaboration with Warhol would be a good publicity. 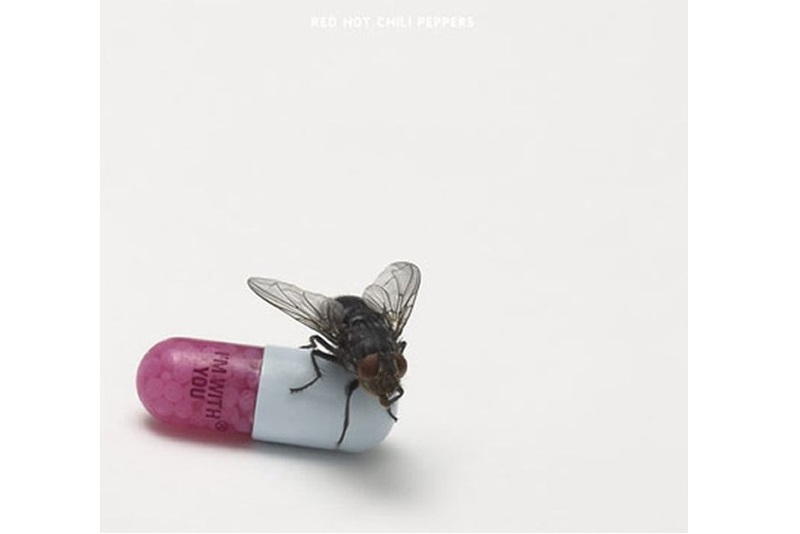 For their tenth studio album I’m With You from 2011, Red Hot Chili Peppers commissioned the iconic British artist Damien Hirst to produce the artwork. 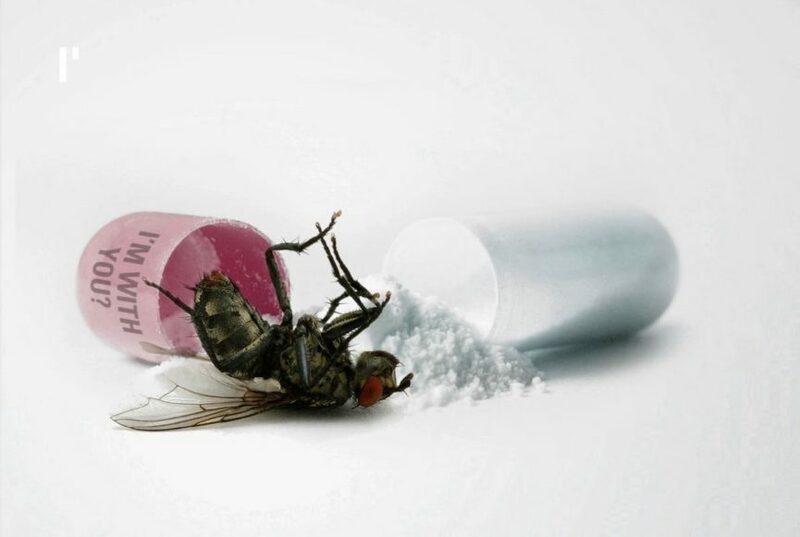 The minimal cover plays on Hirst’s love of pharmaceuticals with a fly standing on top of a hard-shelled medicine capsule that has “I’m With You” printed on the side. “It’s art. Iconic. 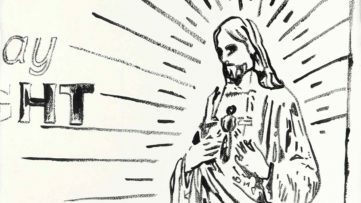 We didn’t give it its meaning but it’s clearly open to interpretation”, explained the band’s singer Anthony Keidis. Before this collaboration, Hirst has also designed several album covers for The Hours and directed the music video for Blur’s hit Country House. 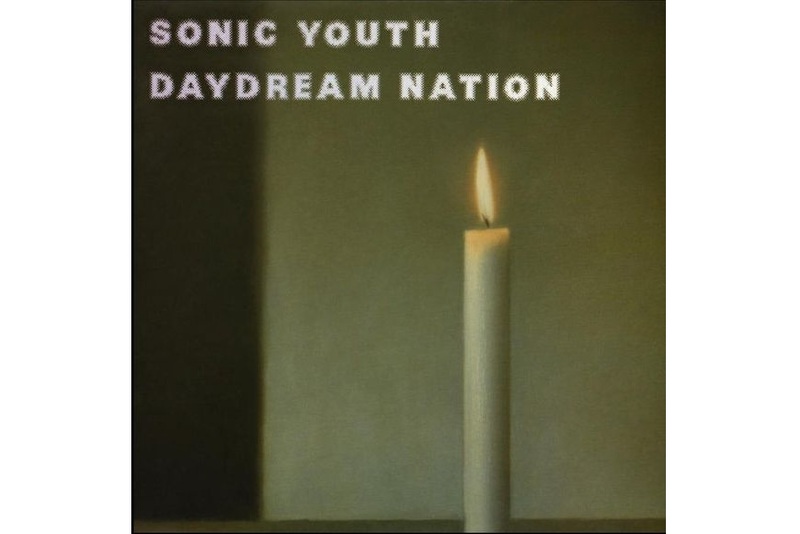 Famous rock band Sonic Youth has introduced contemporary art to underserved kids everywhere with their album cover designs. For their 1988 album Daydream Nation, the band chose the 1983 painting Kerze by Gerhard Richter. The title translates as Candle, the name of one song from the album. 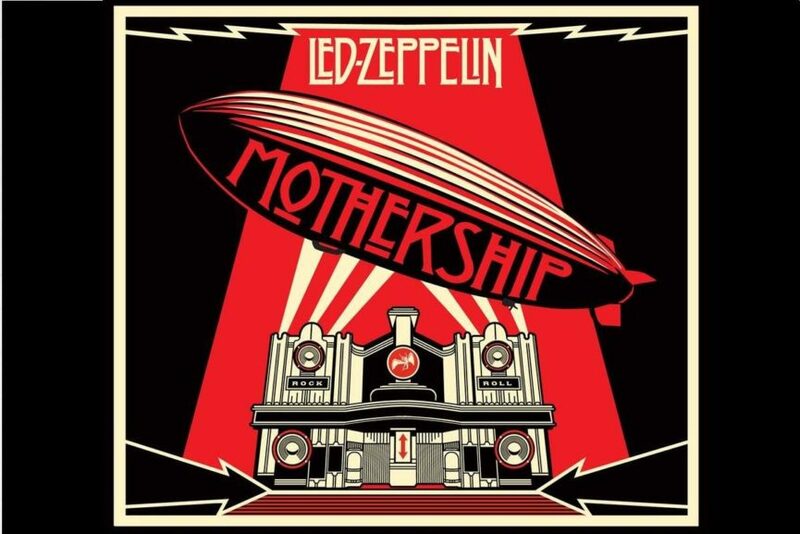 It made the painting one of the most well-known pieces with the general public, and the album itself is considered as one of the most influential rock albums of all time. Known for airbrush images of humans and machines linked together in a cold biomechanical relationship, the style of the surrealist Spanish painter H.R. Giger was adapted for many forms of media, including record albums, furniture, and tattoo art. A year after winning an Academy Award for his design work for Alien, H.R. 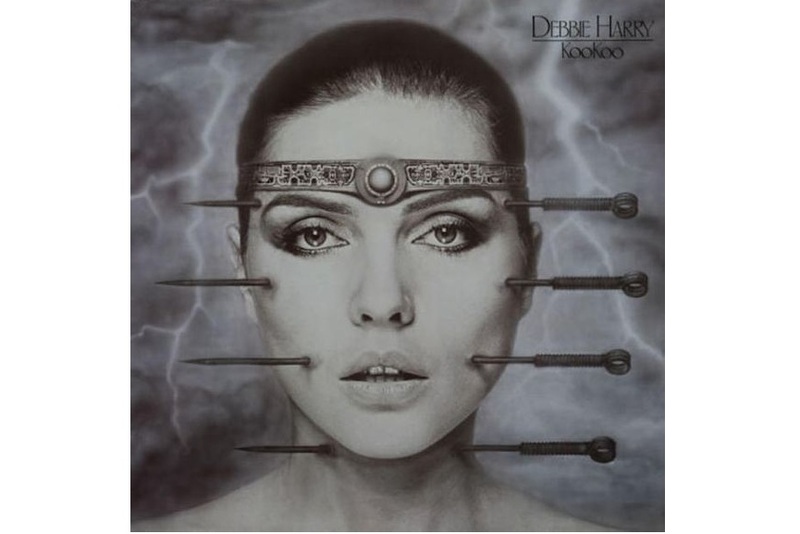 Giger created the album art for Debbie Harry’s debut solo record KooKoo in 1981. The album cover features Giger’s iconic “bio-mechanical” design, as it merges Harry’s face with giant acupuncture needles. As the artist explained, the four needles symbolize the four elements. He has also directed the music video for the song Backfired, the lead single of the album. The punk/ska band from San Francisco The Offs counted among their fans and friends numerous people in the downtown New York art and music scene such as the artist Keith Haring, the actor Richard Edson who played the trumpet in the band, the music critic Glenn O’Brien and the artist Jean-Michel Basquiat. Basquiat also wanted to play in the band, but was not good enough. 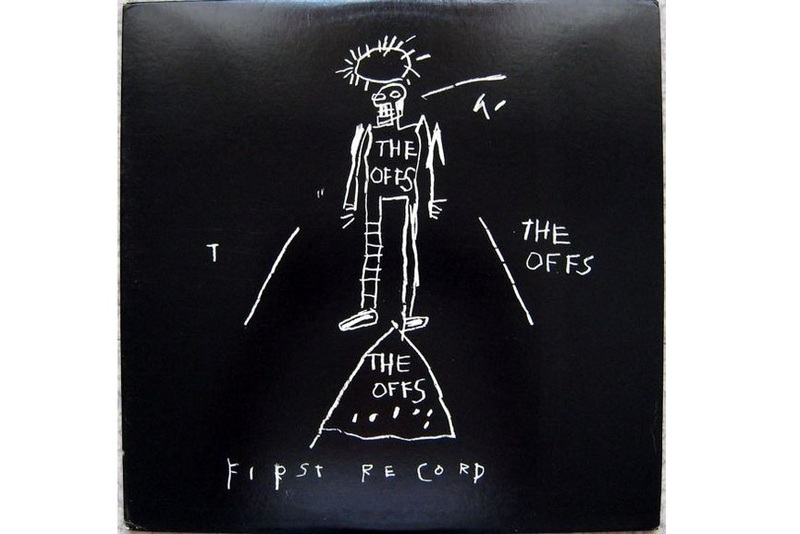 In 1984, he designed the artwork for their full-length album called The Offs First Record for a fee of $500. Andy Warhol arranged O’Brien to write up the review of the album for Interview Magazine and credit Basquiat for the cover. 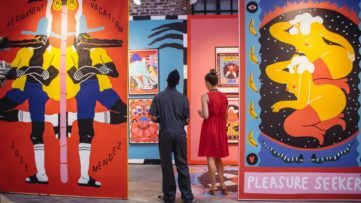 The artwork was featured at the exhibition Vinyl – Records and Covers by Artists that was on view in Germany, Spain and Portugal. The series entitled Nurse Paintings is a famous body of work by Richard Prince where he appropriated the cover imagery from the 1950s and 1960s pulp romance novels. It is also among the most expensive works by a living artist to buy at auction. 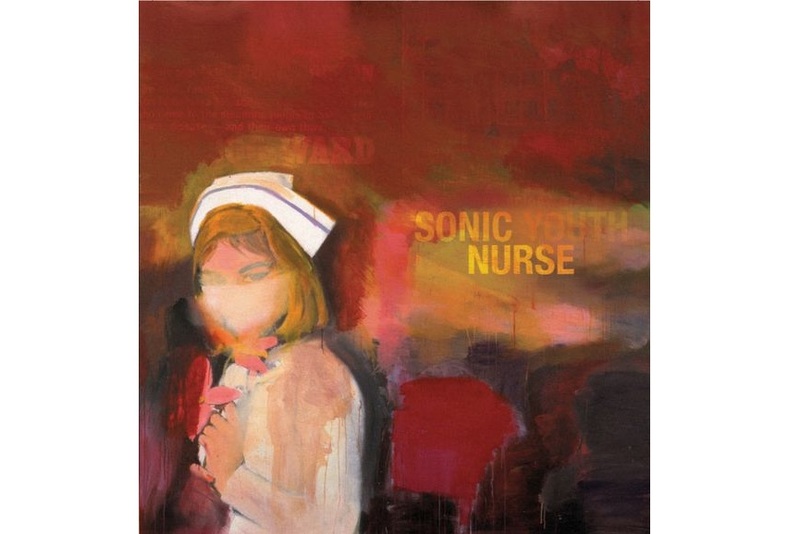 The series debuted just one year before the famous Sonic Youth album Sonic Nurse was released. For this album, the band used one of Richard Prince’s paintings from the controversial series as cover art. The band has even built a key song around one entitled Dude Ranch Nurse. 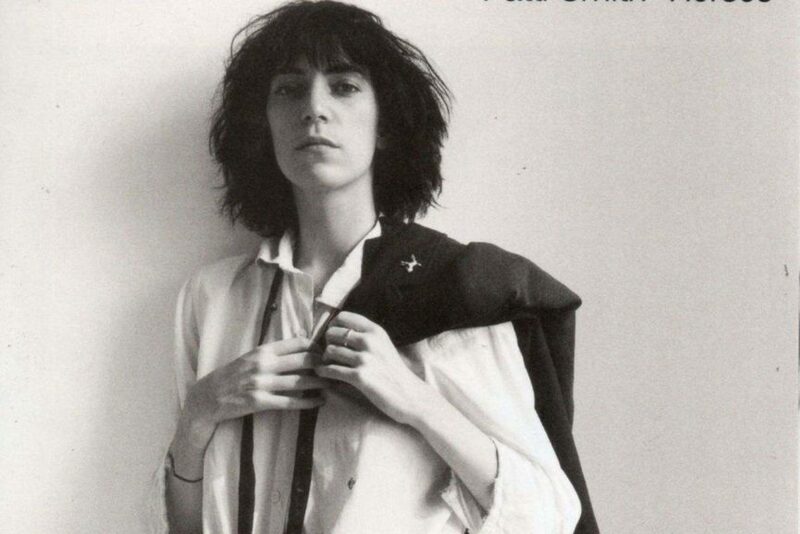 After Patti Smith wandered into the apartment of Robert Mapplethorpe looking for someone else on her first day in New York in 1967, the punk legend and the controversial artist have been very close friends ever since. 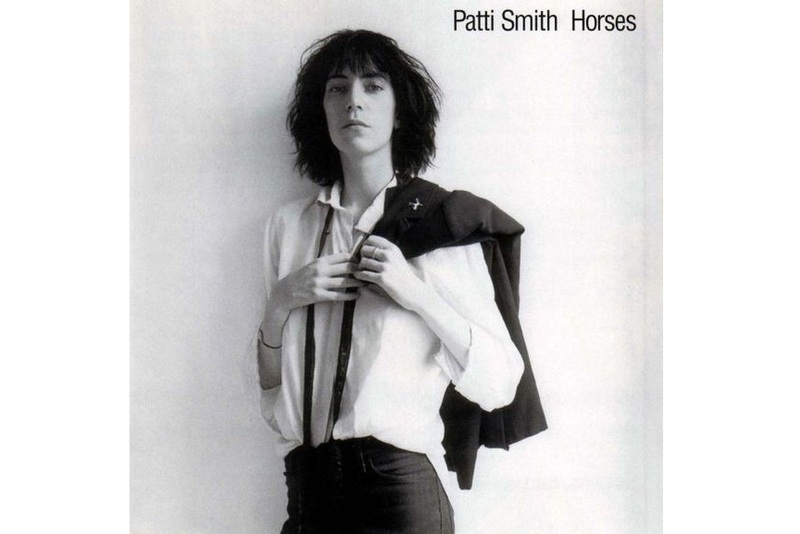 The photo featured on the musician’s debut solo album Horses from 1975 was shot by Mapplethorpe at his apartment in New York City using natural light and a Polaroid camera. Despite the record company wanting to edit the image, she wouldn’t allow it. 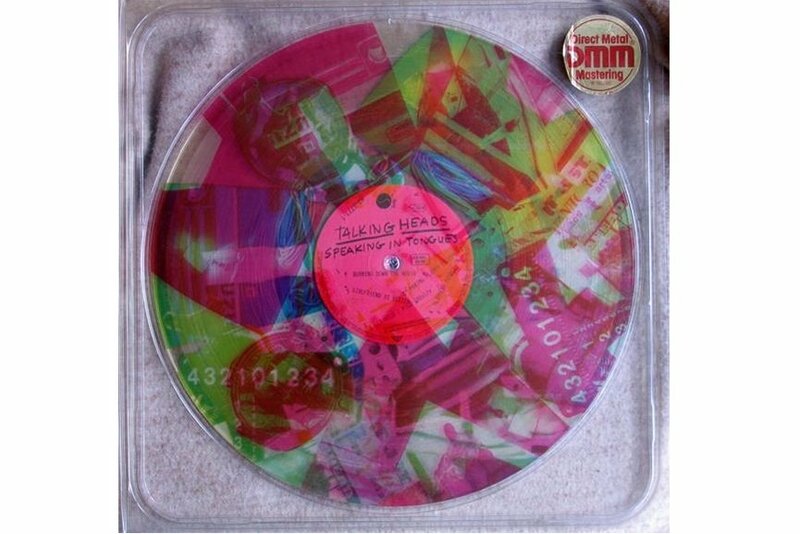 After stumbling upon the Robert Rauschenberg’s work at Leo Castelli’s West Broadway gallery in the 1980s and being struck by his fusion of found imagery and abstract brushstrokes, David Byrne from Talking Heads contacted the artist to produce the artwork for their fifth album Speaking in Tongues. Referencing a series of sculptures entitled Revolver that the artist has produced in 1967, the design features a collage of three-color images, including a wrecked car, a highway billboard, and a suburban bedroom, that could be spun to produce different effects. He wanted to create a transparent plastic case, a complex packaging that delayed the release of the album for its production difficulties. Only by rotating the LP and the separate plastic disc, one could see images included in the collage. Besides the above-listed artwork for The Smashing Pumpkins, Shepard Fairey has collaborated with many other musicians and bands such as Led Zeppelin, The BlackeEyed Peas, WILL.I.AM, Sepultura and Joan Jett, among others. 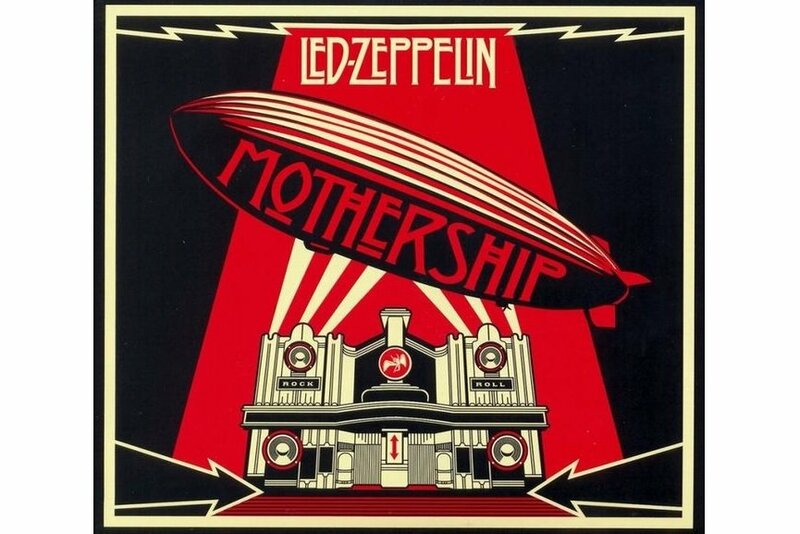 In 2007, he was asked to do the package for Led Zeppelin’s two CD one DVD greatest hits package Mothership. He also created a limited run of screen prints. “The opportunity to for me to hitch a ride on the coat tails of such an influential band is an honor and a coup”, explained the artist.